Imogen's Typewriter. 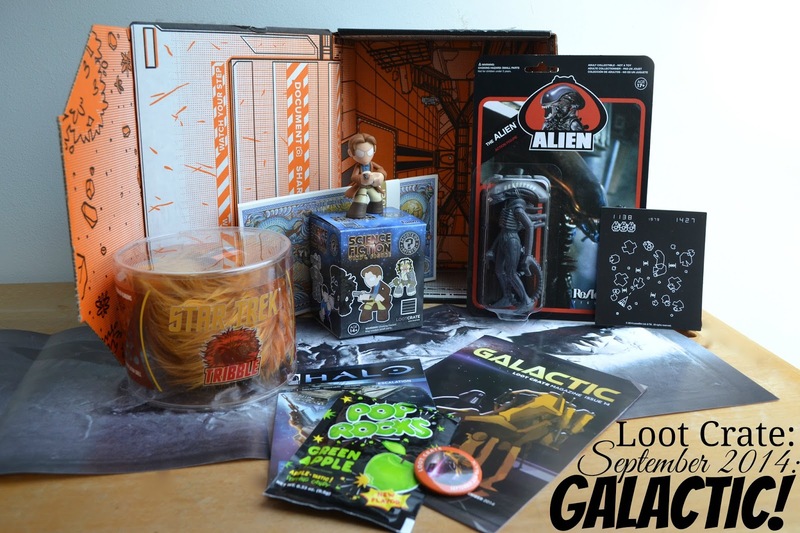 : Loot Crate: September 2014: Galactic! While I would easily say I am a Sci-Fi fan, I admit to never watching Star Trek or any of the Alien films. I'm not even much of a Star Wars anymore although I was as a kid. Firefly, Defiance, Doctor Who, those are my types of Sci-Fi. I'm a TV watcher more than a movie watcher. 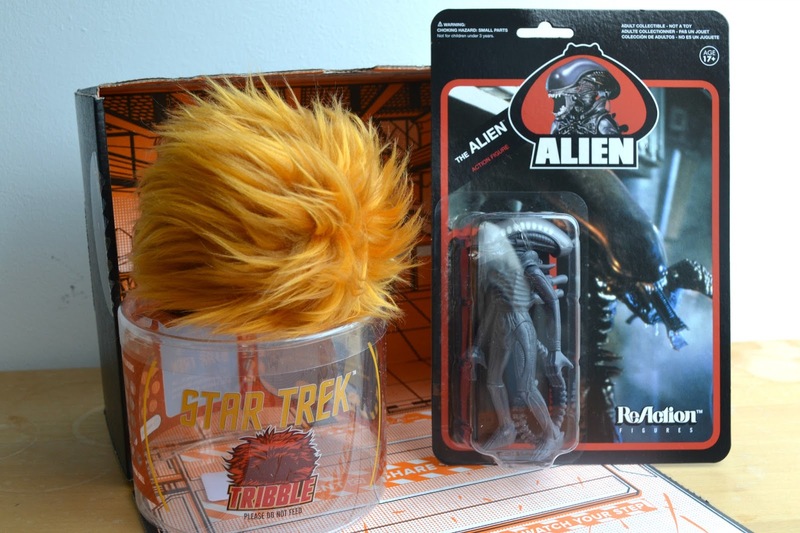 This Loot Crate had some great things, if you were a fan of the source material. Much like last month when Loot Crate and My Geek Box both had a Funko Pop!, this month they both had a Funko Mystery Mini. My Geek Box gave me a walker from The Walking Dead and Loot Crate gave me this exclusive Malcolm Reynolds figure to keep an eye on him! I love this. It's so cute and Firefly is one of my favourite TV shows which I spoke about here! If you haven't watched it, I promise you won't regret it. Another Firefly item was the 10,000 credit. It's actually pretty neat and I kind of want a safe just to have this in there but I don't so I have no idea what to do with this yet! Any ideas? Pretty much everyone who has a Tumblr has seen the gifs of the Star Trek Tribbles so despite never watching the show, I know what they are and I love this. It's super soft and well made. As well as this in the- I know kind of what it is but not really category- was an Alien action figure of Alien, or does it have a proper name? I really have no opinion on this except it's kind of gross :') Time watch the movies. 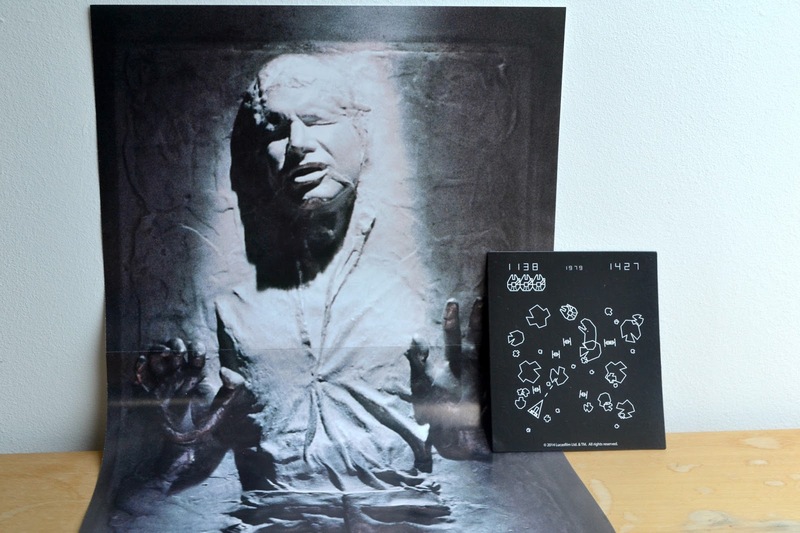 Next was this neat Hans Solo poster, I'm not a poster person but this one is so cool- I think I have to find a place for it or find someone with a free wall. And this Star Wars/ retro games magnet makes me need a proper fridge! I have a wooden covered one so have nothing to stick this too yet. Boy, you're lucky you have these compartments! 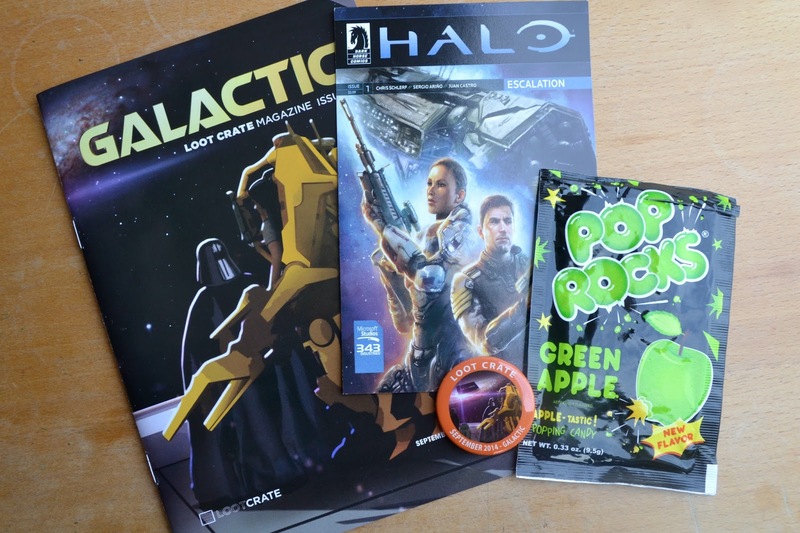 And the little add-ons that make this box so great; the usual magazine and badge, digital loot of the Halo comic and Pop Rocks! I'd never had Pop Rocks before but they were- interesting. So this Loot Crate was an up and down one for me, and I was going to cancel like I canceled My Geek Box because of money saving but- next month is 'Fear' month and I'm just predicting some cool The Walking Dead stuff from this sneak. Want to sign up? You can do so here! 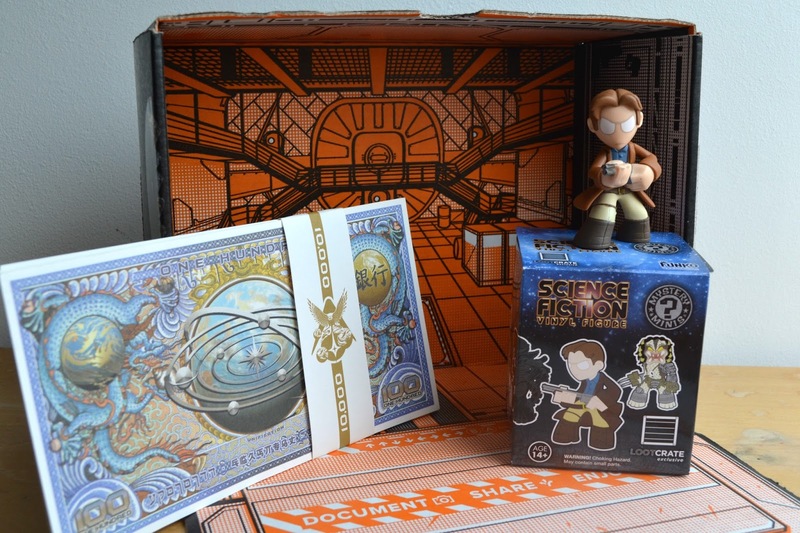 What do you think of this months Loot Crate? Are you a Sci-Fi fan?